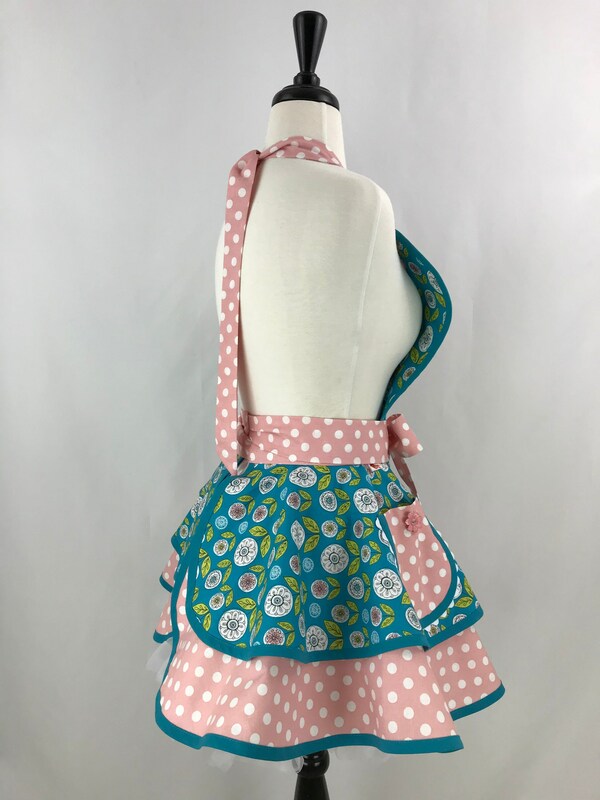 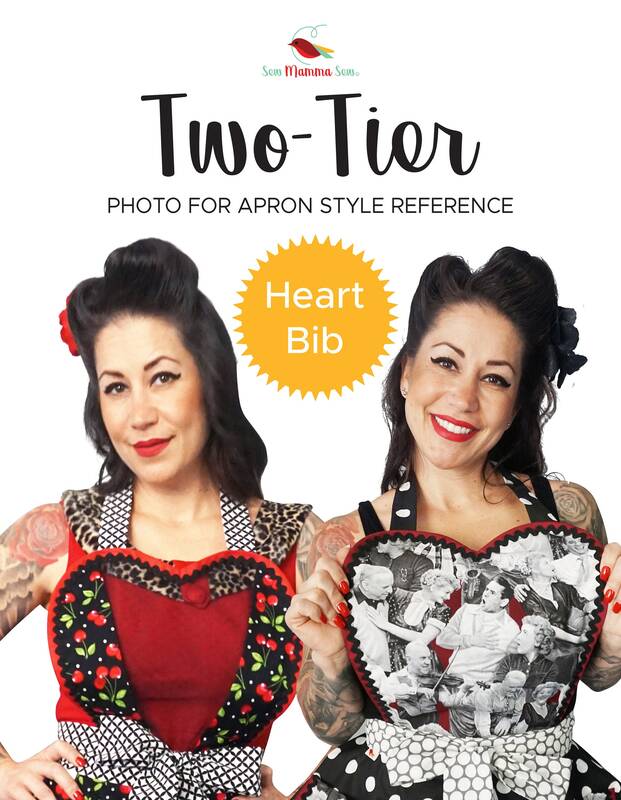 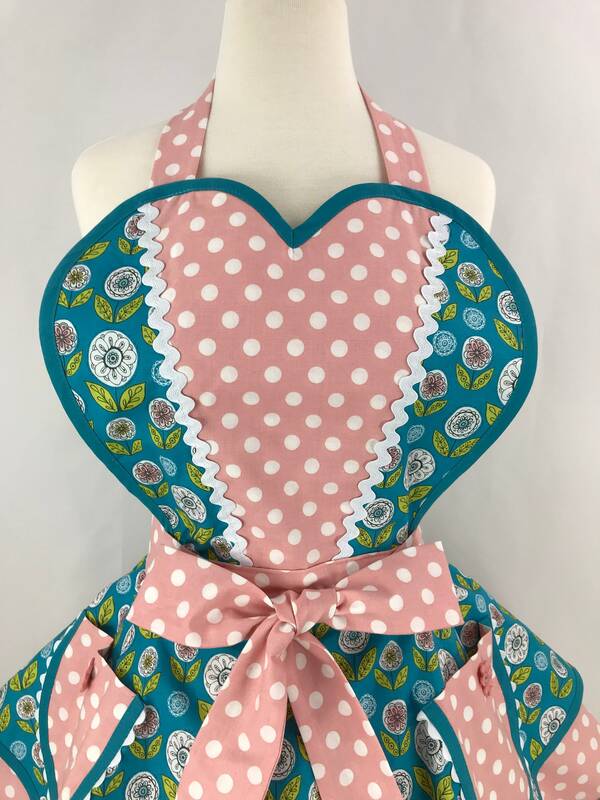 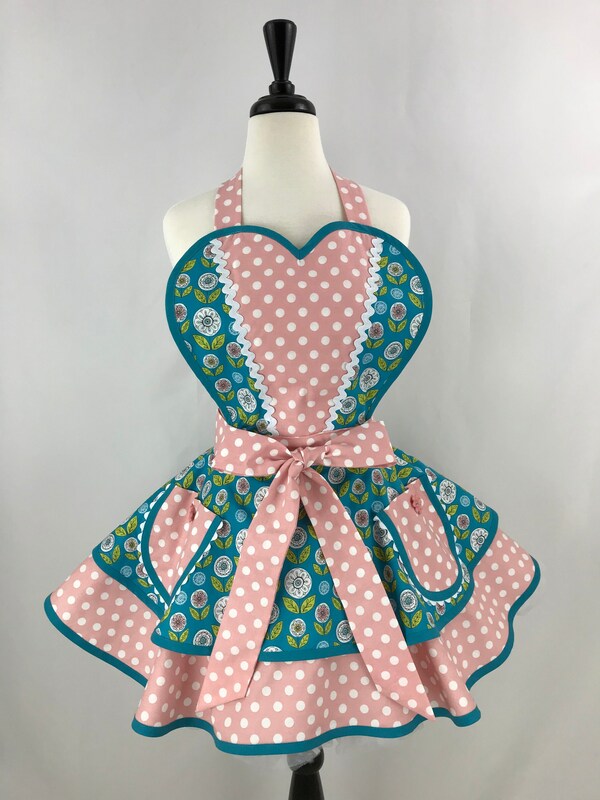 Don't miss this pretty retro/pinup apron in turquoise and coral splashes of color! 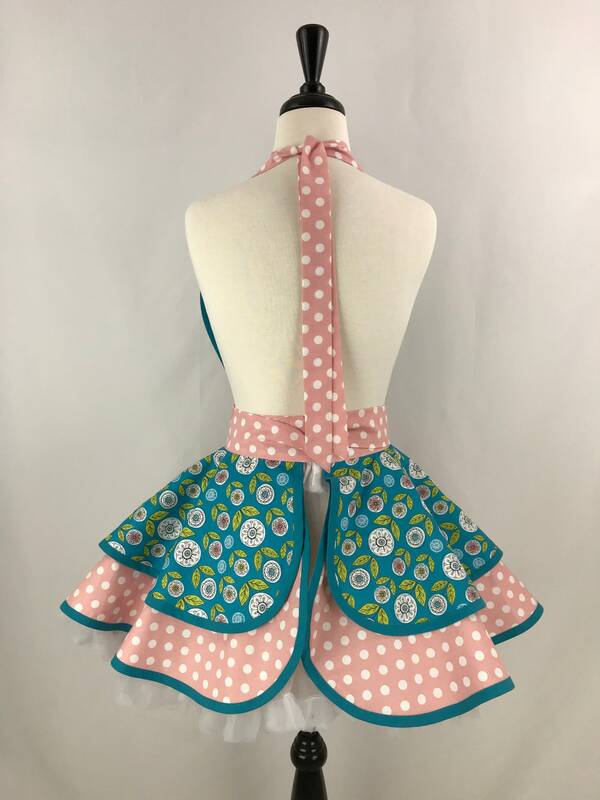 I've used turquoise binding on the heart shaped bib, pockets, and tiers and white ric rac to accent the bib and pockets. 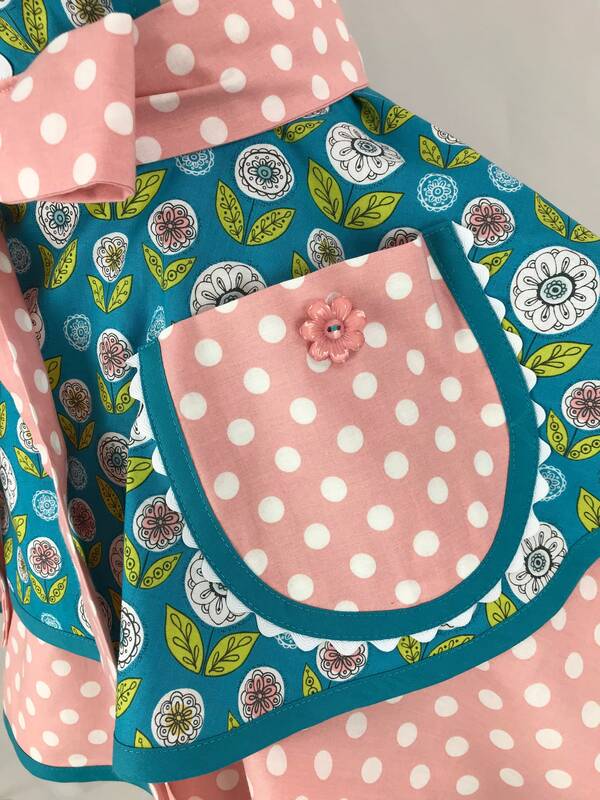 And, two cute buttons on the pockets of course! 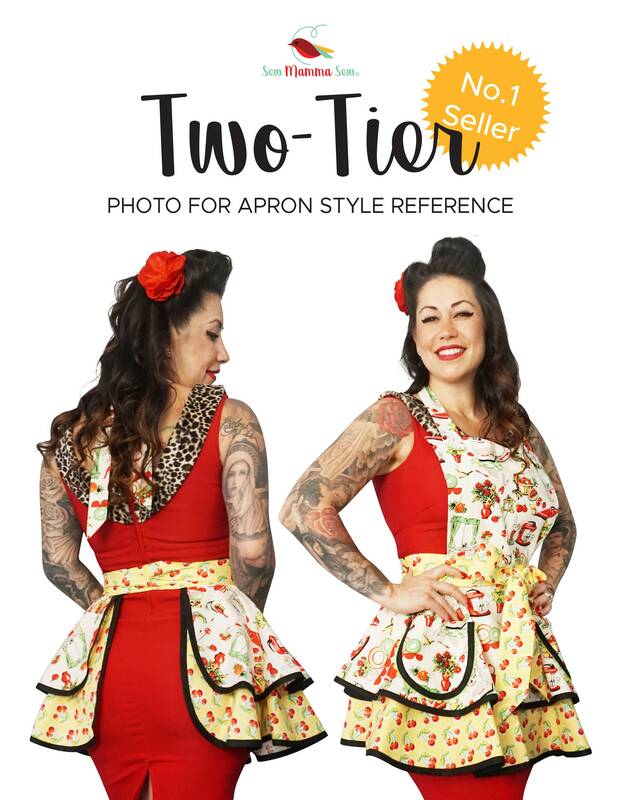 Wear this to host a dinner, or gift it to that special person in your life.